They are calling for investments in public schools to improve student outcomes. Specifically they believe in the importance of the quality education model, which includes: higher graduation rates, smaller class sizes, greater student engagement, culturally responsive teaching, meet the needs of undeserved students, safe and welcoming schools, more school days, more counselors, nurses and mental health specialists, plus more electives - art, music, physical education, STEM, and CTE. 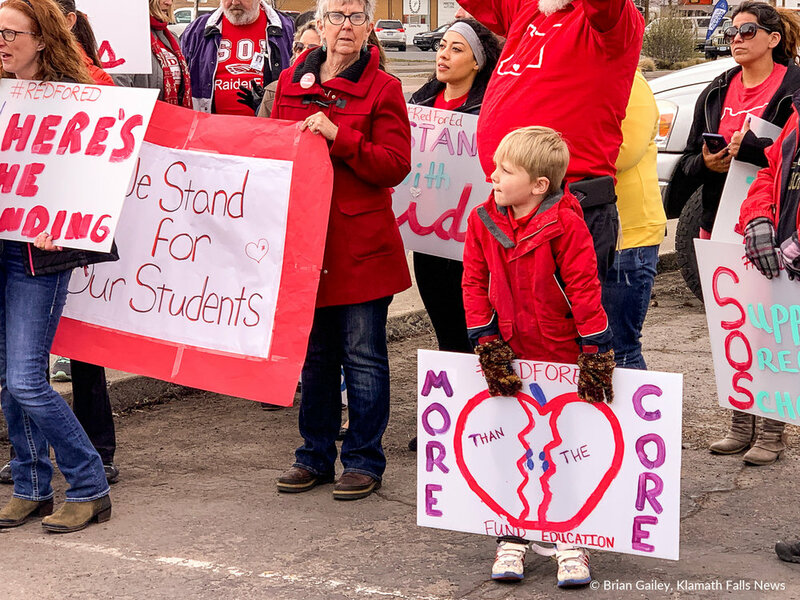 Educators were joined by both parents and students holding signs saying - I stand with teachers, I stand with students, invest in students, #RedForEd, Where’s the funding?, more than the core, your children our future, my students deserve funding, among others. The rally was held to inform the public about how the Govenror’s base education budget of $9.24 billion falls short on providing all these necessary items needed to provide a quality education. 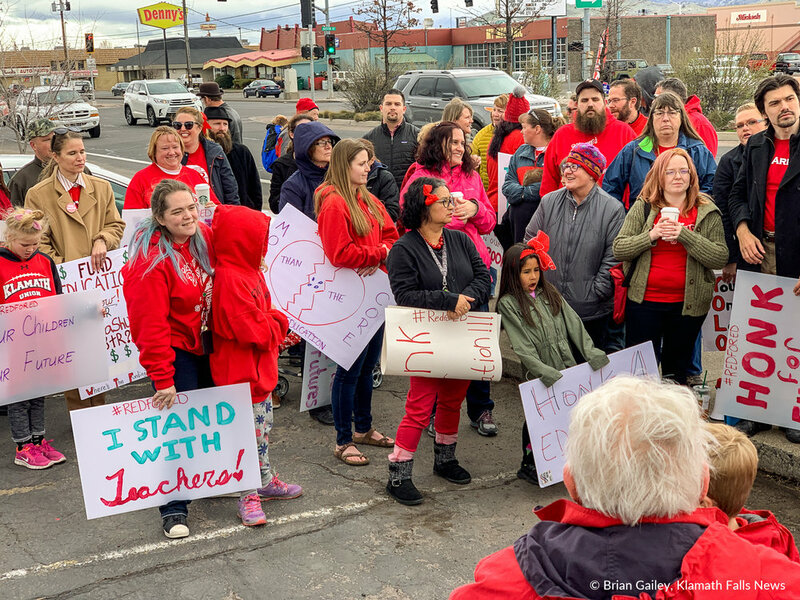 To fully fund education, Oregon teachers need $11.04 billion. “Our county has really particular needs for our students and we need that funding. So we can provide the services for our kids and help you in the classroom be as successful as you can be,” said Lundy. “Music and all the other electives is one of the things we are fighting for. A lot of those electives have gone away due to the lack of funding. We are fighting to expand those programs and put them back in our schools,” says Lundy.